Art Primo: Blog - Roller Skates! We're not talking about skanky girls in Derby Tournaments or creepy rink guys who hit on the 13 year old girls (okay maybe a little of that...). We are talking about clean, wholesome fun. 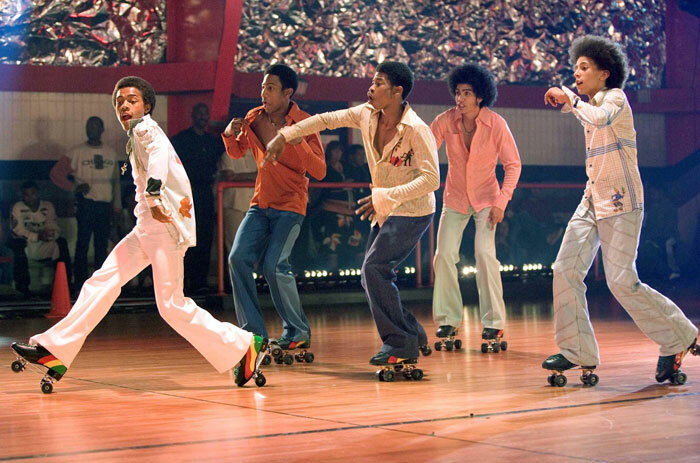 If Lil Bow Wow and Nick Cannon can save their local roller rink, we can jam out on skates, act like 12-year olds and not feel embarrassed when we fall on our asses. Grab your boo, go hold hands and lock eyes in the rink! I dedicate this post to the glow in the dark Veks shirt since you will light up the rink when you floss your skills in this baby! Man this jerking, tight jeans, sh*t is hella gay, i seen this black kid with some girl jeans on a rainbow colored shirt and some 4 wheel roller skates with all diff types of wheel colors(apreply)were you at the pride parade? Home » Art Primo: Blog » Roller Skates!